As you age, your skin becomes thinner and less elastic, revealing the most visible signs of aging. While changes like wrinkling and sagging are not life-threatening, they can lower your self-esteem and affect how you look at yourself. 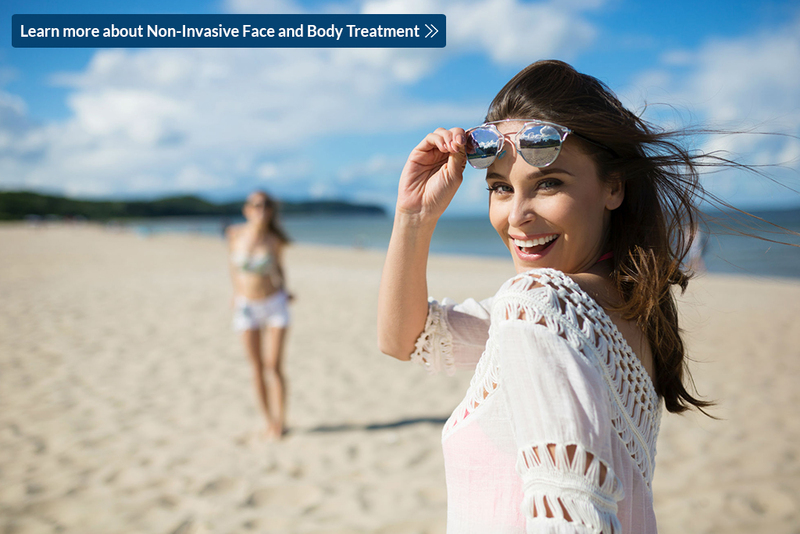 Exilis Ultra from laser clinics in Singapore is a non-invasive skin tightening treatment that can help address face and body concerns without going under the knife. This unique device can give you jaw-dropping results by combining two well-known safe energies – radiofrequency and ultrasound – to tighten the skin, kill fat cells, and promote collagen production. Exilis Ultra is an FDA-cleared aesthetic device that simultaneously delivers radiofrequency and ultrasound energies to target specific body parts. It uses an EFC™ (Energy Flow Control) to monitor and adjust the amount of energy, making sure that it delivers the optimal level of power in the area of concern. It comes with two unique applicators: small and big. The small applicator heats the deep layers of the skin to promote collagen production, which is beneficial for tightening the skin and reducing wrinkles. It can be used on the face or other small areas of the body such as the hands and arms. The big applicator, meanwhile, uses the similar technology but with a controlled cooling system. This allows the heat to go deeper into fat layer to disrupt the fats cells triggering the process of natural cell death without harming the skin. The cooling feature makes it safe to be used on different parts of the body (including neck area) that requires tightening or contouring. Exilis has been clinically-tested and proven to tighten skin, contour tissue, target fat deposits, and improve skin appearance safely and effectively with minimal to zero discomforts. The simultaneous delivery of two energies can give you a clinically effective treatment without anesthesia, needles, scalpels, and pain medications. You can turn to this procedure for wrinkle reduction, cellulite reduction, skin tightening due to skin laxity, and even rejuvenation of intimate areas. Who is an Ideal Candidate? What are the Treatable Areas? The procedure is safe and ideal for patients all ages who want to reverse the signs of aging, to firm and tighten your skin or desire to improve problem areas where diet and exercise didn’t work. The common treatment areas include the around the eyes, chin, jawline, décolleté, male breast, abdomen, buttocks, banana roll (fat below the buttocks), arms, elbows, legs, inner and outer thighs, and ankles. How Does it Feel Like? Is it Safe? Exilis Ultra is an advanced non-surgical solution for treating the face and body with minimal to zero pain. In fact, most patients describe the sensation of the treatment similar to a hot stone massage. What makes it extremely safe is the highly controllable delivery of heat on the skin. It also cuts off automatically when the device is not in contact with the skin. Is There Any Recovery or Downtime? The best part about Exilis Ultra is that it offers dramatic skin tightening results without the extensive recovery period associated with an invasive procedure. There is no downtime or side effects. As the treatment is non-invasive, you can schedule the appointment during your lunch break and return to your normal activities directly after the session. Some patients notice visible improvements after one session, but in general, results can be seen at least after four to eight treatments. Do take note that it may still depend on your individual profile and severity of the concern. A consultation with an experienced aesthetic doctor in Singapore will let you know what to expect and how fast you will be able to see results. With Exilis Ultra, you can now achieve a tighter, more youthful skin without needles, surgery or downtime. To find out more about this procedure, contact Cutis Laser Clinics today and schedule a consultation with our Harvard-trained aesthetic doctor in Singapore, Dr. Sylvia Ramirez.